At the end of the Easter holidays, I was left feeling a bit flat. I didn't feel like we had made the most of the time I had off with the kids. I spent too much time trying to get the house in order, which was pretty pointless with having 2 toddlers. Sweeping the kitchen floor was the only thing I'd done that stuck out in my mind as it was time to return to work and the house looked no better for my efforts. To be ahead of my game, this time, I have decided to come up with a bucket list of ideas to get us out and about. 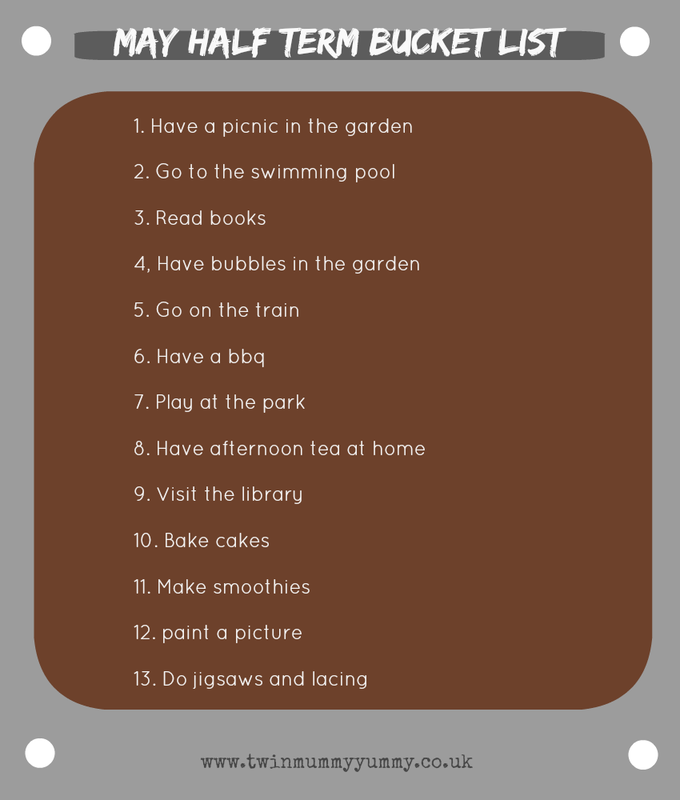 Bucket Lists are, of course, very popular on Pinterest, so I've picked out a few activities that seem fun and achievable for us as a family. Most of the activities I have picked are close to home. I can't go very far with Harry and Matthew on my own, plus I'd like to give them some 'Mummy' attention for crafts, as I don't get much time in the week, normally. I will be taking Lauren swimming without her brothers, but otherwise we will all join in with the activities. 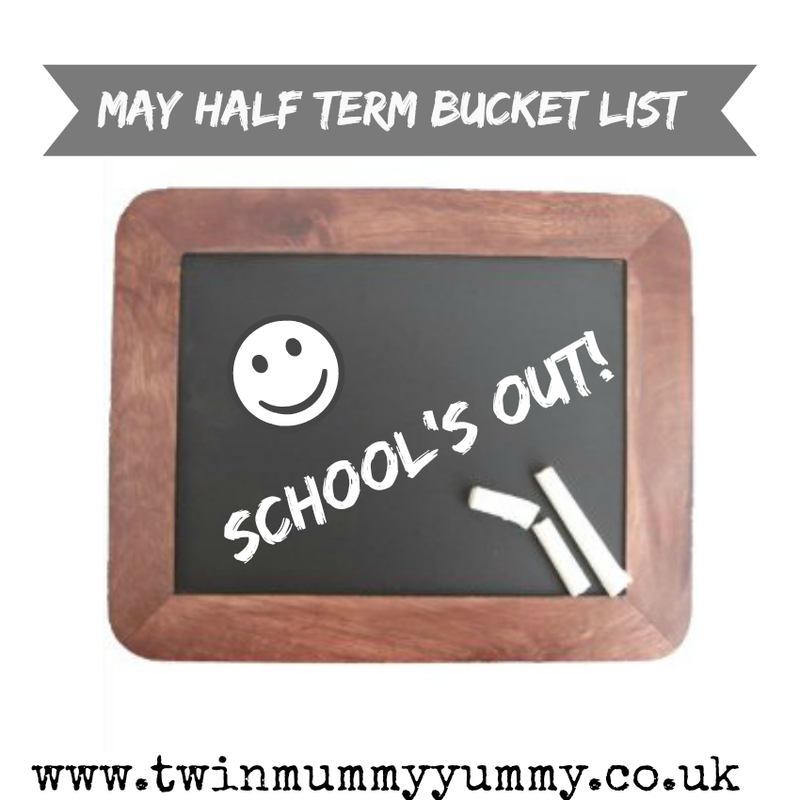 What are your plans for half term?